Daniel Martin wanted a more natural look for Duchess Meghan during the royal wedding, as he wanted her to look like herself. 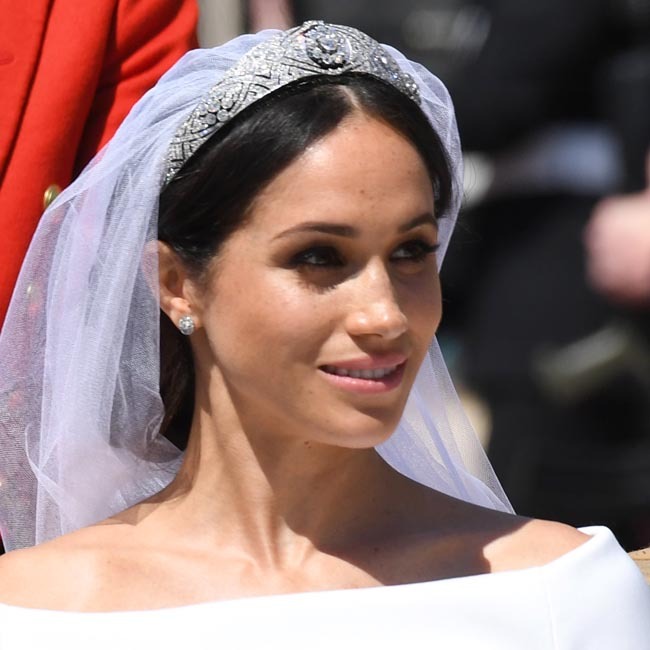 The 37-year-old royal - who was known as Meghan Markle before joining the royal family - tied the knot with the 33-year-old Prince in May, and her makeup artist Daniel Martin has revealed he went for a natural look because he didn't want her beauty to be overshadowed by heavy makeup. In an interview with Vogue, he said: "The last thing I wanted Harry to look at was her make-up; I wanted him to see her. "They're so affectionate and the last thing I'd want to do is prevent that happening because she has a red lip on. It's almost like a stop sign!" The Dior ambassador admitted that his choice to go for a minimal look was controversial among fans, however the former actress was pleased with the decision because she wanted "her wedding day to be about her". He said: "I mean it was interesting because I did get dragged on my Instagram about not using enough make-up on her, but I think what a lot of people don't think about is because she was a working actress and she did red carpet in her career, she wanted her wedding day to be about her. "I think on her wedding day she just wanted to be herself." Although the pair have worked together for years, Daniel was not able to find the time to test out the former 'Suits' star's make-up before her big day. He added: "When she asked me in December I knew I was going to be in Paris for Dior in March so I was like, 'I'm going to get the train in and we can do your make-up test then and then we'll catch up'. "But then the day I came into London it was snowing so I was late seeing her because of the train delays, and when I saw her we just wouldn't shut up, so then I was like, 'oh I need to catch the train back to Paris!'"